Hans Beckert, the serial killer at the center of Fritz Lang’s 1931 crime film M, is one of the most unforgettable, unforgiveable, uncomfortable screen villains of all time. He doesn’t charm his prey with intellectual banter before eating their livers with fava beans and a nice Chianti. He doesn’t hide behind inscrutable masks or lurk deep within unwakeable nightmares. No. The corpulent, androgynous, utterly unexceptional Beckert kills children while whistling out of tune. He is an unassuming man in a fedora and a slightly crumpled suit jacket who disappears in a crowd the minute he steps in. Set in the streets and tenements and vacant factories and underground bars of 1920s Berlin, M finds much of its momentum in a collective fear of Beckert’s anonymity. Here we have a city of 4.5 million people still reeling from the immense bloodshed and humiliating defeat of World War I. In M’s Berlin, the modern metropolis offers many an opportunity to cause harm, to be harmed, and to disappear. The fastidiously organized forces of the police and the criminal underworld scour the city for a man who leaves little trace; an eager and terrified general public identifies the murderer in anyone, and everyone, who presents even the slightest hint of suspicious behavior. 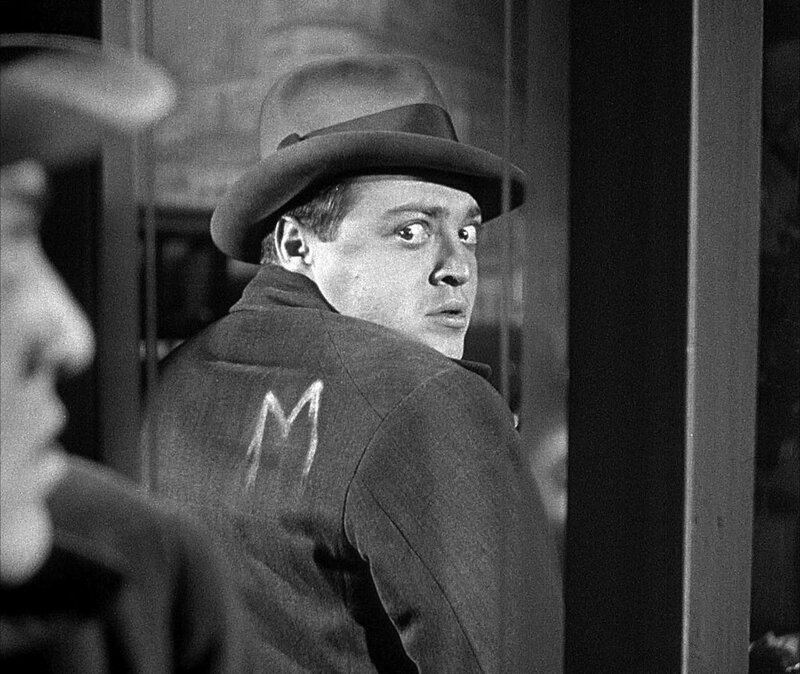 Hans Beckert (Peter Lorre) in Fritz Lang's 1931 crime thriller M.
But 87 years after M’s release, what haunts me so about Beckert, about this man who commits unspeakable atrocities while remaining unnoticeable, are the conspicuous and unmistakable vestiges of his humanity. Beneath the unassuming veneer is a man split in two by some kind of uncontrollable suffering: a suffering that he finds solace from, however momentarily, only by inflicting harm on the most vulnerable and innocent around him. He is corrupt and unhinged, but also pathetic and alone. To watch M and to follow Beckert on his trajectory of madness and distress and utter alienation, one can’t help but ask: how much of Beckert, how much of this monster, lies dormant within me, too? 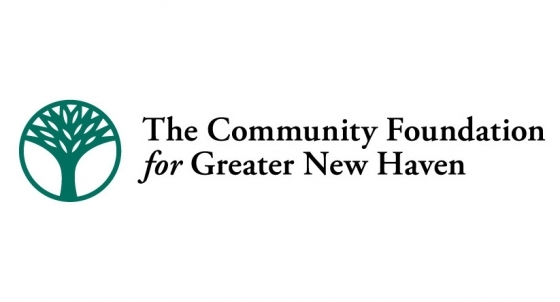 Earlier this week, I introduced and wrote the accompanying notes for a free screening of M at Yale’s Whitney Humanities Center as part of the Treasures from the Yale Film Archive series. In my notes (available here), I offered a few thoughts on director Fritz Lang’s predilection for mixing fantasy and documentary. In the introduction (available here, and via the audio player at the bottom of this review), I shared my own personal history with M, which is a movie that maps quite closely onto my own development as someone who loves to watch, think about, talk about, and pay close attention to film. After Wednesday night’s screening, I was as impressed as ever by how Lang, directing his very first talkie, crafted a film that uses sound so expertly to connect disparate characters and locations, to broaden and deepen cinematic space, to draw attention to important details that may otherwise be overlooked. But what struck me most this time around is how Lang and Lorre create a character in Beckert who is at once abhorrent and pathetic, an unmistakable monster who is so painfully, transparently human. Released in 1931, M comes towards the end of the first golden age of German cinema: the fervent years of the Weimar Republic when pioneering artists like Lang, F.W. Murnau, Karl Freund, Emil Jannings, and Marlene Dietrich helped create a common aesthetic and thematic vocabulary for early European arthouse cinema. In particular, M draws on a well of stylistic strategies from both Expressionism and New Objectivity to create a garish monster immersed in a mundane reality, a spiritual lament bursting forth from a dispassionate procedural. The movie introduces Beckert as nothing but a shadow. Like the vampire of Nosferatu or the murderous sleepwalker of The Cabinet of Dr. Caligari, M’s monster enters the story as a specter too haunting to be seen in the flesh. But instead of terrorizing the jagged painted backdrops and grand, artificial sets of the Expressionist landscape, Beckert’s shadow carves his outline against a simple poster on the street… a Wanted poster describing the chaos that the unidentified Beckert has wrought. As M burrows deep into the details of how the police, the criminal syndicate, and the general public are responding to (and trying to track down) such a menace, Beckert himself seems to devolve further and further from the confident, implacable serial killer into someone plagued by something truly grotesque. Foiled in his attempt to kidnap a child, he retreats to a café, downs two cognacs, and claws at himself against his thwarted, murderous desire. Framed by a thick trellis of leaves, hunched and unkempt and grimacing, Beckert looks like a lion lying in wait before a hunt. He looks like a man in anguish, caught between the harm he causes others and the harm he causes himself. When Beckert is finally identified by the organization of beggars, a stolid white M smacked in chalk on his jacket’s shoulder, he sees his reflection in a shop window and seemingly splits right in two. On one side of this reflection is a true monster, on the other is a man self-aware of and horrified by his own evil deeds. But which version is the real Beckert: the one on the street or the reflection in the glass? Both, he realizes, as Lorre’s eyes go wide and fear takes over him. Both are him, a Romantic doppelgänger ripped into the modern city, and that is his tragedy. In the movie’s climax, Beckert pleads for his life before a kangaroo court intent on eradicating this force for murderous chaos from the well-ordered streets of Berlin. Here there are no dramatic shadows, no canted angles or grotesque disfigurations. Lorre collapses before the men and women he has so wronged, but does not plead for mercy. He pleads for understanding. With minimal editing and one towering performance, Lorre turns Beckert into a figure of Shakespearean tragedy, unable to overcome the inexorable forces of fate that have consumed his life and driven him to evil. The more he cowers and cries and claws and screams, the more human he reveals himself to be. There is nothing sympathetic about this character, but, at least to my eyes, something eminently pitiful. Something inescapably pathetic. He is by no means redeemed by this final cri de coeur, but he does inspire a sad terror that leaps from the screen and immerses itself deep within the audience. Under the wrong circumstances, if I lost all control, would I find a Beckert inside of me? Click on the audio player below to hear a recent episode of WNHH's "Deep Focus" that is all about M.
Crystal Palace or Bouncy Castle?